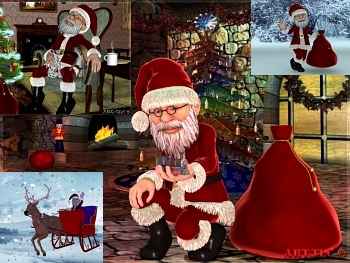 Eleven 3D images and 3 flash animations of Santa making deliveries for Christmas. Optional music included ("Santa Claus is Coming to Town"), or you can add your own music to this saver which also supports dual monitors. F2 sets any saver image to your pc background wallpaper. Download Free Wallpaper from this screensaver! This screensaver fits any screen settings. Screensaver & images copyright ART-TLC ©.